This White Paper was written by Consulting Services for Education in order to better understand the learning impact of the newest Stages Learning product: Link4Fun Books. See Link4Fun books for more information. Link4Fun Books are printed children’s picture books that are placed next to an iPad or other digital device to provide synchronized interactive content. 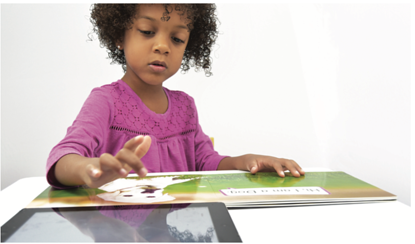 As the young reader turns a page the action triggers the device to display digital content that compliments the content of the physical book and provides an interactive and engaging learning experience. The Bridging Book design follows Universal Design for Learning (UDL) guidelines and is based on current research that demonstrates best practices for promoting engagement and emergent literacy skills in young children. The design also draws on new research-based practices for developing interactive, enhanced e-books for young children and provides a highly kinesthetic learning environment to engage young learners and give them ample opportunities for fine motor skill development. The Bridging Book design uses newly developed innovative technology that pairs the advantages of children’s traditional print-based picture books with the interactive elements of audio, animation, and simple game play that can be used on an iPad. The Link4Fun Books collection includes books for children ages 3 and older. The initial set includes wild animals, farm animals, and family pets that can be seen, heard, and interacted with (for example choosing food for them and feeding them) and watching them interact in their natural habitats on short videos. The National Association for the Education of Young Children recommends that in using any learning technologies for preschoolers, children need opportunities for interaction with adults as well as time to choose and shape their own learning and reflect on what they are doing. The Link4Fun books can be used by children independently, but can also provide an engaging opportunity for children in groups or with an adult to interact with this new learning tool. The Link4Fun Book is a children’s mixed-media picture book that combines and connects a print-based picture book with a digital device to create an interactive reading experience for young children. It is based on “Bridging Book” technology developed at the engageLab at the University of Minho in Portugal. The Link4Fun Book consists of a printed children’s picture book that is placed next to a digital device, such as an iPad, that provides synchronized content. As the reader turns a page, the action triggers the device to display digital content that compliments the content of the physical book. The Link4Fun Book does not require any special batteries or cords. It uses a thick glossy cardboard tray that keeps the book sitting directly next to the digital device. The Link4Fun Book collection uses print-based photographs and illustrations in the physical book that are then extended and expanded on the digital screen allowing for interactive learning and play. Content can be explored in a linear way by turning pages and responding to activities that appear on the screen related to the book, but Link4Fun Books can also be explored in many non-linear ways to engage children and tap into their natural curiosity. The Link4Fun Books collection includes books for children ages three and older. The initial set includes wild animals, farm animals, and family pets that can be seen, heard and interacted with (such as choosing food for them and feeding them) and watching them interact in their natural habitats on short videos. “Bridging Book” technology seeks to combine the advantages inherent in print-based and digital media. Picture books provide tactile-kinesthetic feedback and are designed for sharing and storytelling with large, realistic print-based images and limited text ideal for a young audience. With the advent of the touch screen, digital media now provides multi-person participation and the chance for guided, interactive, and non-linear learning that can be done with two readers or with a small group. The prototype of the “Bridging Book” was created to support reader engagement using a mixed-media book for storytelling and interaction. It was designed to keep children connected to the physical world of children’s picture books while allowing for interaction with content provided by new technologies (Figueiredo 2013). Technically, the “Bridging Book” is a print book that contains embedded magnets. The book can be paired with a touchscreen iPad or tablet that has an app downloaded that contains a digital compass sensor that senses the magnets. The “Bridging Book” was developed, prototyped, and tested at the engageLab at the University of Minho in Portugal and is printed exclusively by Hung Hing Printing in China. (Figueiredo 2013). Early prototypes of the Bridging Book were reviewed at an ACM workshop at the International Conference on Interaction Design and Children in New York in 2013 (Pinto 2013). Link4Fun Books were designed using research-based best practices on emergent literacy and preschooler engagement. While only a small amount of research has been conducted directly using this new technology, much of the research on interactive e-book use by preschoolers informed the design and creation of Link4Fun Books. Well-designed, enhanced e-books that are developmentally appropriate and adhere to recommendations set by the National Association for the Education of Young Children can support emergent literacy, provide engagement that allows children to persevere in their learning activities, and can provide opportunities to foster fine motor skills and support the natural kinesthetic learning preferences of young children. Research demonstrates that enhanced e-books, defined as e-books that provide interactive experiences, support the “opportunity for the promotion of emergent literacy among young children, including those at risk for learning disabilities, before they have reached school age” (Shamir et al 2013, p. 173). Research also suggests there are benefits to using the dynamic interactive e-book over the static e-book in terms of the promotion of understanding and vocabulary development. (Verhallen, Bus, & De Jong, 2006; Trushell & Maitland 2005). Additional research indicates that interactive e-books for young children support word recognition skills and improve vocabulary (Grant 2004, Shamir & Korat 2009). Animations, sounds, and interactive activities provide non-linear options that differ from reading a traditional print-based book. High quality e-books have been shown to increase phonological awareness, writing skills, and word recognition for children in kindergarten, both individually and when paired with another student (Shamir & Korat 2007). Activities taking place within an enhanced e-book that require students to make choices and that match closely with the text within the book improve reading comprehension (Labbo & Kuhn 2000, Doty et al 2001, Grimshaw et al 2007). Enhanced e-books also provide scaffolding for early literacy experiences because they can provide immediate feedback to the reader in order to promote comprehension. (Grant 2004, Medwell 1998). Picture and audio cues within e-books also support learning (Doty et al 2001). At the same time, e-books support new literacies that allow for a transactional relationship between author and reader, whereby the reader becomes an active participant in the reading experience. (Barnyak & McNelly 2015). Research indicates that e-books provide children with opportunities to read and re-read at their own pace and receive needed supports when desired from video and images that complement the text. (Karemaker et al 2008, Moody 2010). The conversation among educators on e-book use by emergent readers has shifted from the question of whether young children should use new technologies to how these new technologies should be used. Developmentally appropriate interactive e-books and related new technologies clearly have a beneficial impact on developing early literacy skills (Couse & Chen 2010). It is important for teachers and parents to choose well-designed e-books and engage in recommended practices for teaching with these tools. “Active, appropriate use of technology and media can support and extend traditional materials in valuable ways ... both cognitive and social” (NAEYC 2012). Engagement is an essential component in teaching preschool children literacy skills. Engagement consists of attention, interest, and enjoyment (Roskos 2012). It differs from motivation, which is viewed as externally influenced. Engagement involves the child feeling in control, self-directed, and able to experience a sense of competence connected to his or her actions (Murray 1997). Children are engaged when an activity is interesting and personally enjoyable to them, and when the activity is within their zone of proximal development (Vygotsky 1978, Moody 2010). Researchers investigating engagement with picture books in print and e-book form have measured the child’s desire to maintain physical proximity with the book, respond to questions while viewing the book, and spontaneously comment about a story (DeBruin-Parecki 1999). Researchers have also looked at enthusiasm and persistence as markers of engagement for young readers (Moody et al 2010). A study by Larson (2010) found that children were more engaged with reading e-books in part because they experienced greater control over their interactions with the e-books. Another study found that young children were more motivated to read e-books than traditional print books (Maynard 2010). Pearman (2008) also found that young children were more engaged with e-books than with print books. Children reading print books spent longer periods of time looking around the room and trying to converse with researchers rather than read, whereas during the e-book reading sessions children actively clicked on words and pictures and kept their attention on the e-book rather than glancing around the classroom or engaging the researcher. In preliminary research results Ciampa (2016) found that young children enjoyed e-books over print books due to three engagement factors: curiosity, choice, and challenge. Ciampa suggests that more research is needed to rule out the novelty effect of a new technology, such as an interactive e-book, in order to determine whether over time interactive e-books remain more engaging than other reading experiences for young children when they become commonplace. Learning theories suggest that a certain percentage of students at any age learn best in hands-on environments rather than through passive listening, reading, or watching demonstrations. But at the preschool level almost all children are kinesthetic learners. Most preschoolers are still in a sensorimotor phase of development. This means that young children learn best by using their senses and motor skills together. Even activities such as turning the page of a book or pressing a button on an iPad provide these students with a more successful and engaging learning experience compared to a passive listening experience. A review of the research on interactive e-books by Morgan (2013) indicates that e-books that provide multimodal ways to interact (sounds, images, animations) can help struggling new readers learn through visual, auditory, and kinesthetic formats. This allows young learners to take in content in many different ways and adapt their interactions with the e-book to their own preferred learning style. (Sankey et al 2010). For children with a kinesthetic preference for learning, e-books provide support and interactive opportunities that allow haptic interactions (touch and body movement) that can promote engagement and learning (Mangen 2008). For almost all preschool children, the interactive nature of an e-book that provides them with choices and the ability to physically interact with the book sustains their attention and provides for a successful early literacy experience. Prior to the development of tablets and smart phones preschoolers faced challenges when using technology. Computers were usually not developmentally appropriate for children under age 5: keyboards used with laptops and traditional computers required fine motor skills as well as cognitive skills to understand symbols and letters on the keyboard. With the creation of tablets and smartphones with multi-touch intuitive screens younger children can now easily interact with images, sounds, and buttons on these devices. (NAEYC 2012). Research with young children suggests that even children as young as two years old can interact effectively with touchscreen technologies (Chiong & Shuler 2010). Unlike interactions with traditional computers, young children can explore touchscreens independently and make choices and selections based on visual and audio aids. (Levine 2011). iPads and similar devices provide young children with more control over their learning experiences and allow them to actively participate with the content presented on the device (Geist 2014). Research on toddlers and iPad use suggests that iPads provide opportunities for practice and refinement of skills for children with poor fine motor skills while providing an engaging experience that increases the likelihood that students will persevere when using an iPad (Aronin 2013). A recent study investigated whether using the right amount of pressure on an iPad might prove too challenging for young readers, but it was determined that learning to use an iPad helped students develop fine motor skills and that children would persist in their attempts due to the strong motivational factors connected to using the iPad (Aronin 2013). Education specialists working with young children found that the light touch required by the iPad appears to benefit young children who have not fully developed their fine motor skills as well as children with special needs who struggle with fine motor skill development. They found that very little physical muscle strength was needed to operate an iPad (Saylor & Rodriguez-Gil 2012). Link4Fun Books were designed following Universal Design for Learning (UDL) guidelines as well as following best practices from current research on enhanced e-book design. UDL guidelines include designing the books to ensure that children would experience multiple means of engagement, representation, and expression. More specifically, due to the non-linear, multi-level interactivity of Link4Fun Books, children are able to make choices and respond to different challenges incorporated into the book design. Children are invited to become participants in their pre-reading, reading, and learning process by absorbing information through multiple modalities and responding to diverse types of cues. The books incorporate strong, realistic images, sounds, and short videos of real animals in their natural habitats. They are an invitation to engage in various learning activities such as selecting an appropriate food for the animal and then feeding the animal. The design of the Link4Fun Books series has also drawn on the wealth of recommended best practices for enhanced e-book development as well as design principals currently being fostered at the Harvard Graduate School of Information through the Technology, Innovation, Education Program and work of adjunct faculty there including David Dockterman, Chief Architect, Learning Sciences at Houghton-Mifflin and developmental neuropsychologist and educator David Rose who helped create the field of Universal Design for Learning that addresses the diverse needs of all types of learners. Specific research-based best practices for enhanced e-books has been summarized by Barnyak and McNelly (2015) as well as the work of McManis and Gunnewig (2012) for the National Association for the Education of Young Children. The tables below reflect the connections between current research recommendations and the Link4Fun Book design. Provides options for moving through the book. Presents questions about what was read. Uses video to support understanding of the text. Builds comprehension through interactive multimedia. Supports the reader in making text-based inferences. Encourages interaction through animations, sounds, and activities for read aloud and play. Presents the story/text effectively; repeats words to support young readers; uses appropriate syntax/grammar; displays text effectively (font size and text density). Offers clear verbal, written, and visual instructions that are clear and precise. Supports independent use by young children. Uses graphics to enhance text; uses pictures to clarify facts and concepts within text. Places print near the graphic it describes; coordinates the narration to the graphics. Includes pages containing details essential to text and images essential to text; uses adequate words and graphics to assist the reader in understanding text. Supplies narration matched to the tone of the text. Stimulates engagement for purposeful learners; presents content in multiple ways so that children can interact with the Link4Fun Book on different levels depending on age and abilities, and provides opportunities to express learning through different types of activities. Presented information can be easily accessed, e.g. providing different modes such as audio, visual, and text. Makes all functions operable from digital device; provides consistent navigation symbols and content that is easy to locate. Removes time constraints and includes no blinking content. Makes all text readable and understandable and includes content that operates in predictable ways. Provides compatibility with current and future assistive technology. The benefits of interactive technology that is developmentally appropriate are well supported by research (Couse & Chen, 2010). Thoughtfully using educational technology with young children can encourage social and emotional growth (Haugland 1992; Clements & Sarama 2002; Hutchinson & Reinking 2011). Demonstrate appropriate use of any technology. 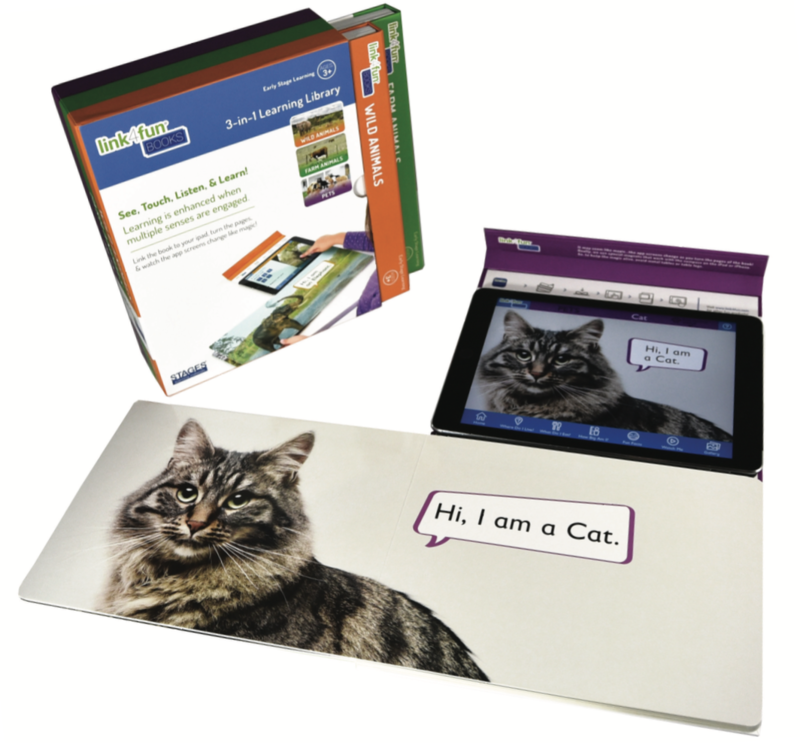 Link4Fun Books require basic iPad touch screen knowledge and the ability to set the print-based book into the tray attached to the iPad or other device. Encourage children who understand how to use Link4Fun Books to demonstrate its use to others. Emphasize interactive and open-ended exploration of Link4Fun Books. Provide space for children to use Link4Fun in pairs or small groups with a teacher or parent close by. As with any technology for preschool children, keep in mind that children need both interaction with adults and time to choose and shape their own learning and reflect on what they are doing. Use Link4Fun Books in early childhood classrooms in a variety of contexts such as independent or paired reading and shared reading time. Invite children to take turns interacting with the content during shared reading time. Adhere to age appropriate use: Link4Fun Books are not recommended for children younger than 3 years old. Pair other classroom or home activities with the content in the Link4Fun Books such as talking about farm animals or pets after the children have used the books relating to these topics. Link4Fun Books are printed children’s picture books that are placed next to an iPad or tablet to provide synchronized interactive content. As the young reader turns a page the action triggers the device to display digital content that compliments the content of the physical book and provides an interactive and engaging learning experience. The Link4Fun Books collection includes books for children ages two and older. The initial set includes wild animals, farm animals, and family pets that can be seen, heard, and that provide interactive experiences such as feeding an animal, choosing to learn more about where an animal lives or tapping a word to get a definition. 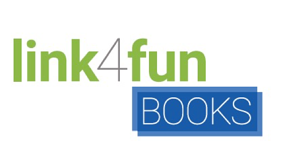 Based on current research the design of Link4Fun Books allows for an engaging experience for young readers to develop experiences with printed books and to develop new literacies that allow for a transactional relationship between author and reader. Link4Fun Books provide a highly kinesthetic learning environment to engage young learners and give them ample opportunities for fine motor skill development. American Academy of Pediatrics Council on Communications and Media. (2011). Policy statement: Media use by children younger than 2 years. Pediatrics 128(5), 1040–1045. doi: 10.1542/peds.2011-1753. Aronin, S. & Kim F. (March/April 2013). Using an iPad in inclusive preschool classrooms to introduce STEM concepts. Teaching Exceptional Children 45, no. 4. Barnyak, N.C. & McNelly, T. A. (2015) Supporting young children’s visual literacy through the use of e-books. Young Children and Families in the Information Age 10, 15-41. Chiong, C. & C. Shuler (2010). Learning: Is there an app for that? Investigations of young children’s usage and learning with mobile devices and apps. New York: The Joan Ganz Cooney Center at Sesame Workshop. Pbskids.org/read/files/cooney_learning_apps.pdf. Ciampa, K. (2016). Motivating grade 1 children to read: exploring the role of choice, curiosity, and challenge in mobile ebooks. Reading Psychology 37(5). Clements, D., & Sarama, J. (2002). Teaching with computers in early childhood education: Strategies and professional development. Journal of Early Childhood Teacher Education 23, 215-226. Couse L & Chen D (2010). A tablet computer for young children? Exploring viability for early childhood education. Journal of Research on Technology Education 43(1), 75-98. DeBruin-Parecki. (1999). Assessing adult/child storybook reading practices. CIERA Report 32-004. Center for the Improvement of Early Reading Achievement. University of Michigan, Ann Arbor, MI. Doty, D.E., Popplewell, S.R., & Byers, G.O. (2001). Interactive CDROM storybooks and young readers’ reading comprehension. Journal of Research on Computing in Education 33, 374-384. Figueiredo, A.C., Branco, P., Pinto, A.L., Zagalo, N., Coquet, E. (2013). Bridging book: a not-so-electronic children’s picturebook. Conference proceedings: IDC, New York. Grant, J.M.A. (2004) Are electronic books effective in teaching young children reading and comprehension? International Journal of Instructional Media 31 (3) 303-308. Grimshaw, S., Dungworth, N. , McKnight, C., & Morris, A. (2007). Electronic books: Children’s reading and comprehension. British Journal of Educational Technology 38(4), 583-599. Haugland, S.W. (1992). The effects of computer software on preschool children's developmental gains. Journal of Computing in Childhood Education 3(1), 15-30. Hutchison, A.C., & Reinking, D. (2011). Teachers’ perceptions of integrating information and communication technologies into literacy instruction: A national survey in the U.S. Reading Research Quarterly 46, 312-333. Karemaker, A., Pitchford, N.J. & O’Malley, C. (2008). Using wholeword multimedia software to support literacy acquisition: A comparison with traditional books. Educational & Child Psychology 25(3), 97-118. Labbo, L.D., & Kuhn M.R. (2000). Weaving chains of affect and cognition: A young child’s understanding of CD-ROM talking books. Journal of Literacy Research 32, 187-210. Larson, L. (2010). Digital readers: The next chapter in e-book reading and response. The Reading Teacher 64(1), 15-22. Mangen, A. (2008). Hypertext fiction reading: Haptics and immersion. Journal of Research in Reading 31(4), 404-419. Maynard, S. (2010). The impact of e-books on young children’s reading habits. Publishers Research Quarterly 26(4) 236-248. Medwell, J. (1998). The talking books projects: Some further insights into the use of talking books to develop reading. Reading 32(1), 3-8. Moody, A., Justice, L., & Cabell, S. (2010). Electronic versus traditional storybooks: Relative influence on preschool children’s engagement and communication. Journal of Early Childhood Literacy 10(3), 294-313. Moody, A.K. (2010). Using electronic books in the classroom to enhance emergent literacy skills in young children. Journal of Literacy and Technology 11(4), 22-52. Morgan, H. (2013). Multimodal children’s e-books help young learners in reading. Early Childhood Education Journal 41, 477-483. Murray, J. (1997). Hamlet on the holodeck: The future of narrative in cyberspace. New York, NY: The Free Press. Pearman, C. (2008). Independent reading of CD-ROM storybooks: Measuring comprehension with oral retellings. Reading Teacher 61(8), 594–602. Pinto, A.L., Sylla, C., Figueiredo, A.C., Branco, P., Zagalo, N., Coquet, E., Qi, J., Freed, N. 2013. Bridging books: Printed media as a support for digital experiences. IDC '13, 12th International Conference on Interaction Design and Children, New York, US, June ACM Press. Sankey, M. Birch, D. & Gardiner, M. (2010). Engaging students through multimodal learning environments: The journey continues. Proceedings of the ascilite Conference in Sydney. Saylor, Cristi M. & Gloria Rodriguez-Gil. (Fall 2012). Using the iPad and a sequence of apps for young children with multiple disabilities. reSources 17, no. 2. Shamir, A & Korat, O. (2007). Developing an educational e-book for fostering kindergarten children’s emergent literacy. Computers in Schools 24(1/2), 125-143. Shamir, A & Korat, O. (2009) The educational electronic book as a tool to support children’s emergent literacy. In A.G. Bus & S.B. Neuman (Eds. ), Multimedia and literacy development: improving achievement for young learners. New York: Routledge. Shamir, A., Korat, O. & Fellah, R. (2013). Promoting emergent literacy of children at risk for learning disabilities: Do e-books make a difference? In A. Shamir & O. Korat (Eds.) Technology as a support for literacy achievements for children at risk. New York, NY: Springer. Trushell, J., & Maitland, A. (2005). Primary pupils' recall of interactive storybooks on CD – ROM: Inconsiderate interactive features and forgetting. British Journal of Educational Technology 36, 57-66. Verhallen, M. J., Bus, A. G., & De Jong, M. T. (2006). The promise of multimedia stories for kindergarten children at risk. Journal of Educational Psychology 98(2), 410-419. Vygotsky, L (1978). Mind in society. Cambridge, MA: Harvard University Press.